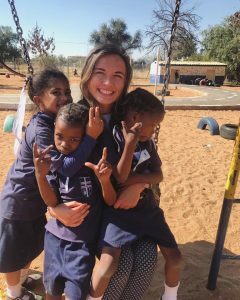 Madison Weidner, a rising senior in the NC State College of Education, spent 10 weeks of her summer in Rehoboth, Namibia, teaching students and teachers there how to use information and communication technology. One challenge she faced: she wasn’t able to connect to the internet. 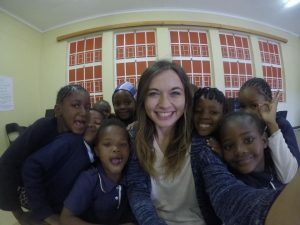 As a volunteer with WorldTeach, a nonprofit that provides teachers to developing countries, she taught Information and Communication Technology (ICT) at St. Joseph’s Primary School to help decrease the digital divide that is prominent in Rehoboth schools. But how do you do that without being able to connect to the internet? 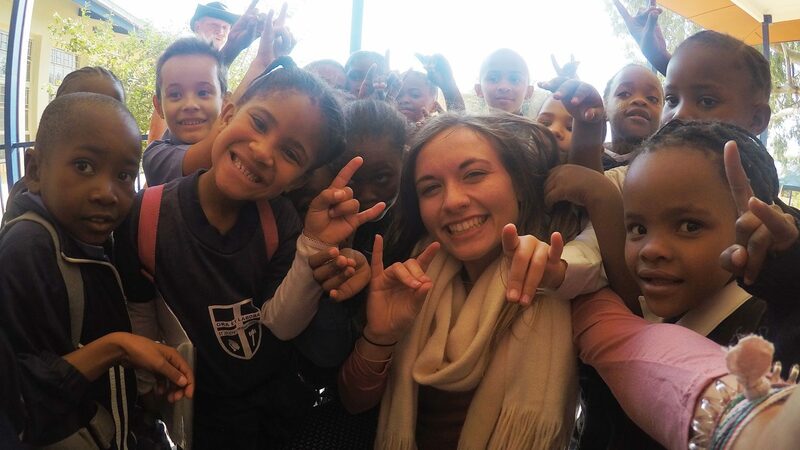 Weidner with her students in Rehoboth, Namibia. Aside from technical difficulties, Weidner also faced language barriers. “There were so many times that I would be a part of a conversation and the other teachers would switch languages without even realizing it,” Weidner said. This often made school assemblies and staff meetings difficult. But Weidner found herself on the other end of this scenario in the classroom when her students would pause her mid-sentence and tell her she was speaking too fast. For all the differences Weidner experienced in Namibian schools, some things were the same as schools back home — like the teachers’ devotion.